I like a good door, me. 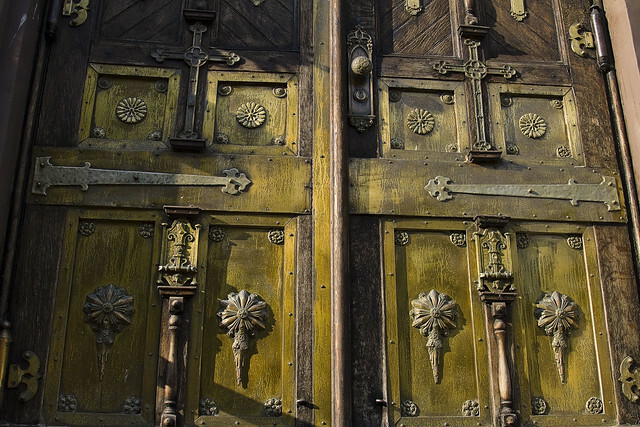 One could bore you endlessly with the metaphorical and philosophical significance of doors. They keep you in, or keep you out, in their simplest function. 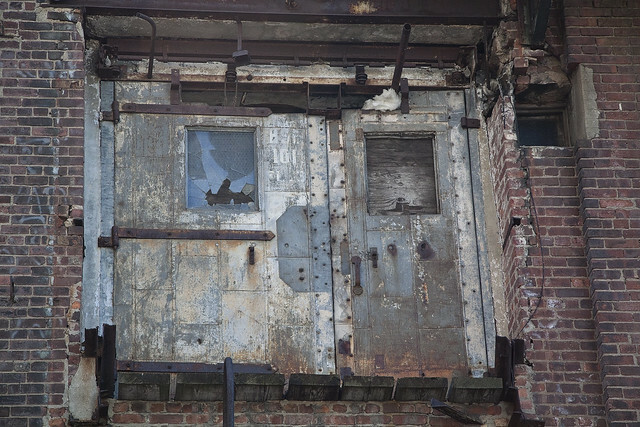 A lot of the doors in today’s post are simply gone, such as the one pictured above which used to found in Queens Plaza along Jackson Avenue. 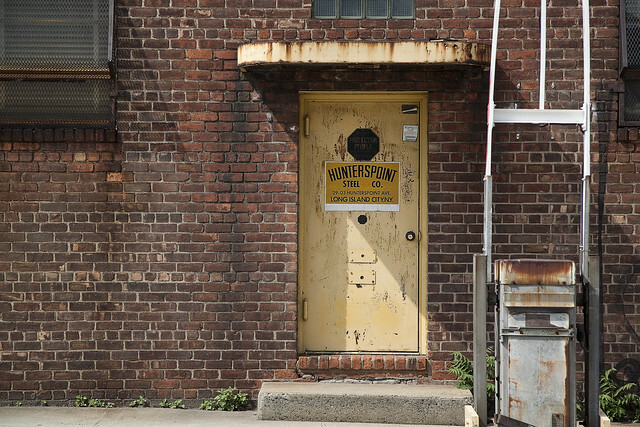 Over in Brooklyn, at the Greenpoint Terminal Market, this second story number once connected with another building. That building burned away in the largest fire since 911, which – luckily enough – made lots of room available for the development of luxury condos on its lot. In lower Manhattan’s Alphabet City, there’s a church which celebrates the Hispanic Mozarabic Rite of the Western Orthodox Catholic tradition. No, really. I did a whole post on this church back in August of 2012. 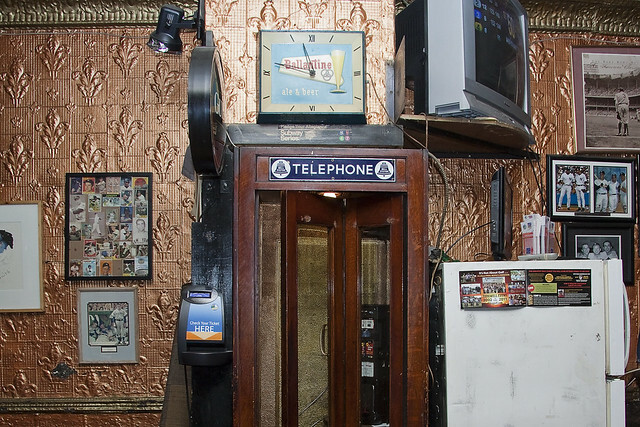 Over on… Staten Island… there’s a bar on Richmond Terrace where you’ll find the front door always open, and within there’s a phone booth. If it looks familiar, that’s because it’s where Madonna called Danny Aiello from in the “Papa don’t preach” music video back in the 1980’s. 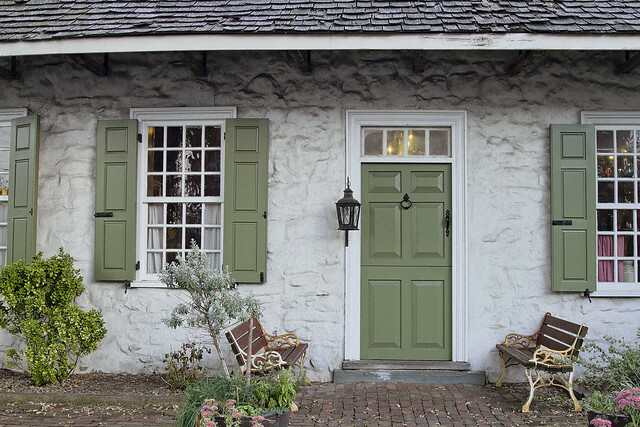 In Queens, over in Ridgewood, there’s a pretty ancient set of doors you can walk through at the Onderdonk House. If you’re tall, you might want to duck down a bit while walking through, as our colonial ancestors didn’t necessarily possess the same stature which we assign to them. 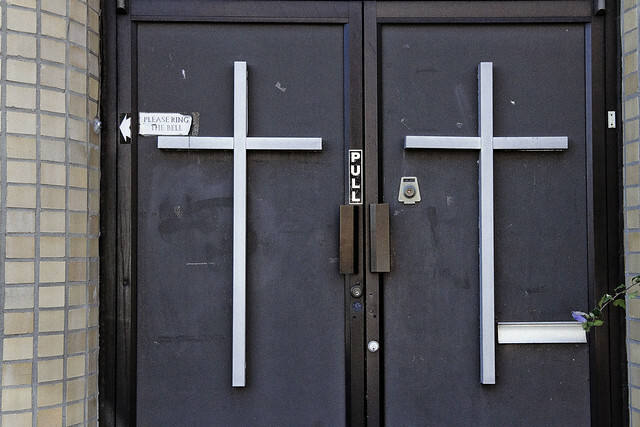 In Queens’s Woodside, along Broadway, there’s a church which is fairly well vouchsafed against Vampires. Of course, Woodside doesn’t have too much of an infestation – nosferatu wise. 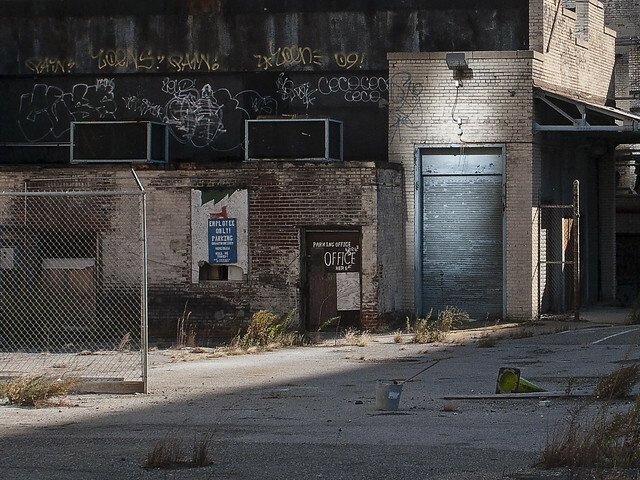 For a good chance of encountering Vampires, you’d want to go to Red Hook (under the Gowanus Expressway is a good bet). As a note, Vampires avoid this particular corner anyway, as there’s a Sikh temple on the opposite corner. You don’t screw around with the Sikhs. 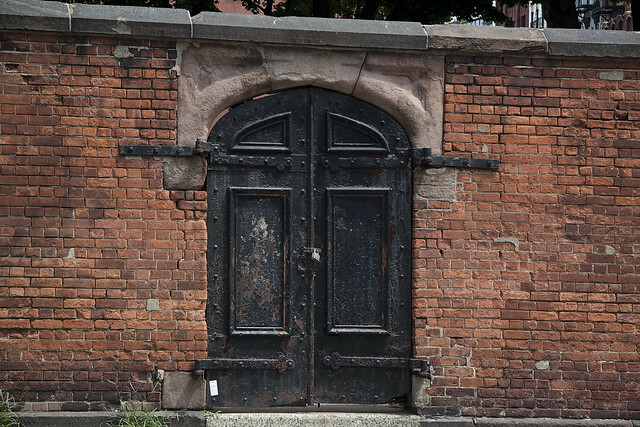 There aren’t that many burial grounds in Lower Manhattan, but you can bet that when you do find one it will be vouchsafed by stout iron doors. Whether it’s to keep the Wall Street types from robbing the graves, or to keep the dead from exacting vengeance upon the living – who cares, it’s Manhattan. Hidden doors are my favorites, of course. 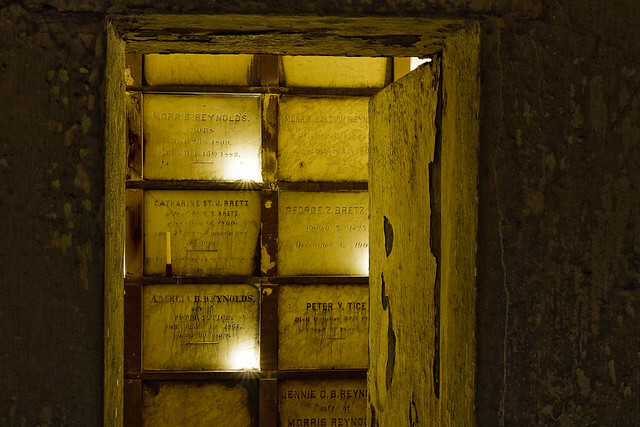 In Brooklyn’s Greenwood Cemetery, there’s hundreds of hidden doors designed to both protect and control the tomb legions. 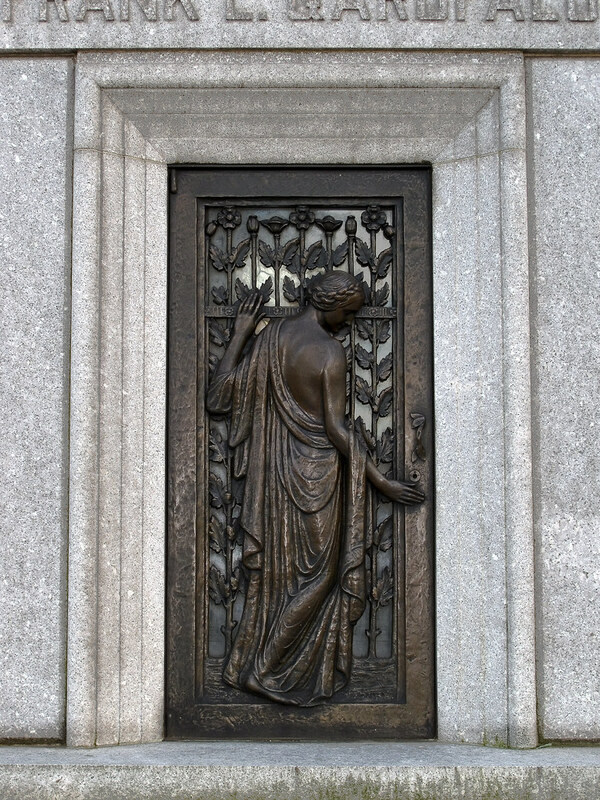 My favorite doors are actually the elaborate bronze portal covers you’ll find adorning the Mausolea at one of the four Calvary Cemeteries here in Western Queens. Just look at that example above. Woof. with Working Harbor Committee. Click here for more details.